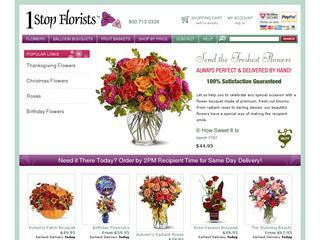 If you have any experience with 1stopflorists.com, please post a review! Aggregate Review Rating on Contaya.com: 4/5 based on 2 reviews. Copyright © 2010-2019 Contaya.com. All rights reserved.